So much to love about this cover. The color, the font, the image, and above all how perfectly it teases the content. I was lucky enough to read a draft of this book before it went into line edits, and even then it bled originality and depth. Lindsay is a truly unique talent, but she is also one of my favorite people in the world. 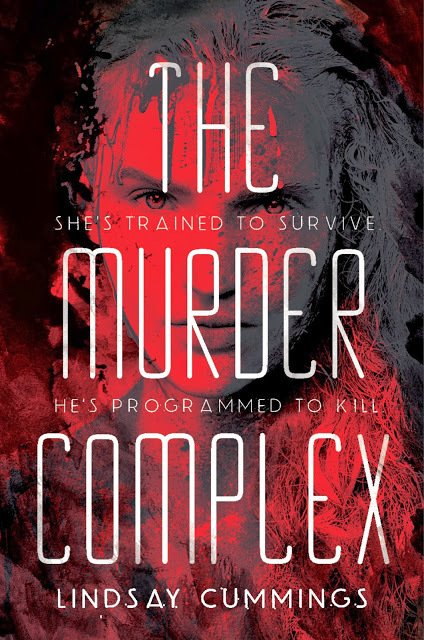 If you haven’t already added The Murder Complex to your Goodreads, follow this link to do so. It is up for pre-order on a handful of easy access sites as well. By following the link to Lindsay’s blog below, you can find all the handy pre-order info. If you are interested in a signed ARC (and you really should be, because how much fun?) check out the contest going on over at Lindsay’s personal blog. I for one have already entered! Lindsay Writes: Cover Reveal and Contest! I am happy for Lindsay, but just as happy for all of us. Soon we’ll get to hold this fabulous book in our hands, which is all Lindsay has wanted for us since writing it over two years ago. Rebekah is a kind of friend that every writer needs. Lindsay is very lucky to have you as a friend. Good luck to both of you girls!